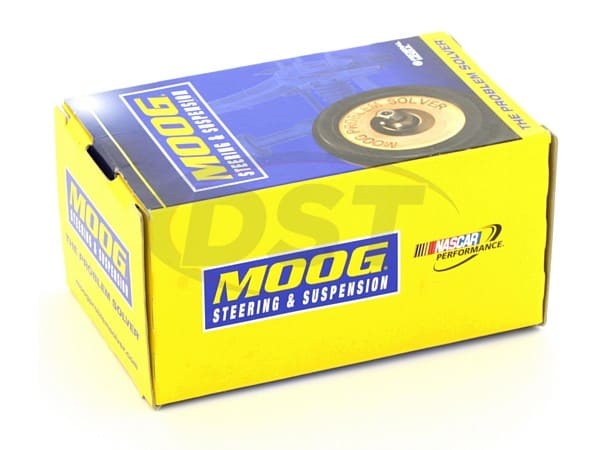 Moog's 25.4mm (1in) Front Sway Bar Bushings will replace the original bushings in the 2008-2009 Dodge Challenger or 2005-2008 Dodge Magnum. 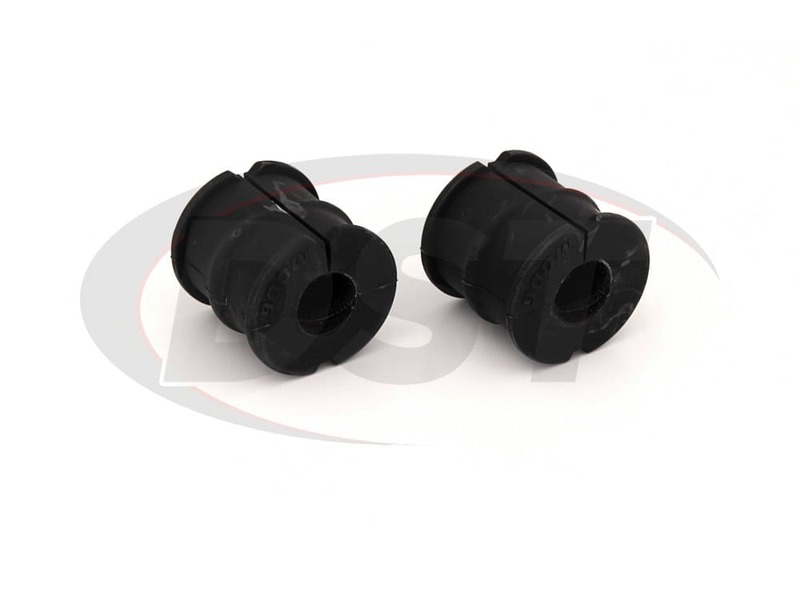 These sway bar bushings are manufactured with a new Synthetic Fabric Lining on the inner diameter which extends the life of the sway bar bushings and eliminates squeaking. 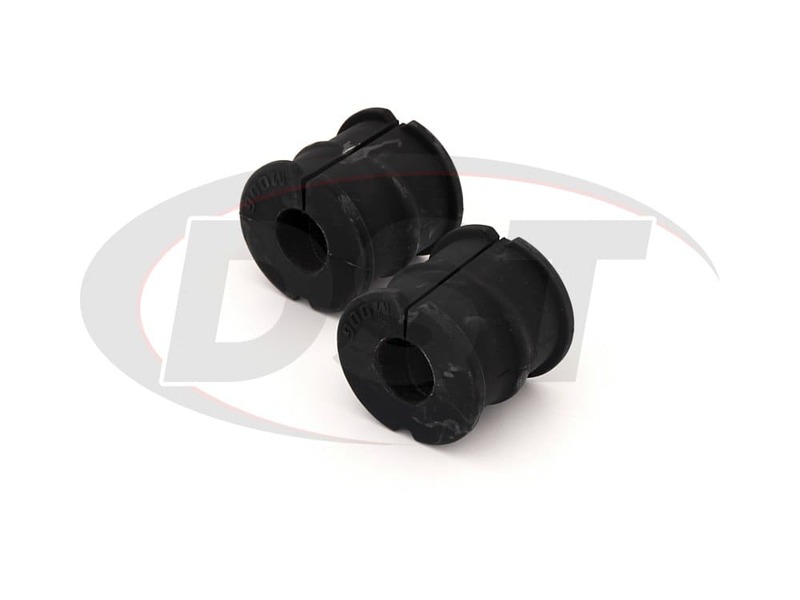 The front sway bar bushings hold the bar that connects the wheels on the driver and passenger side and keeps the tires flush with the ground during a turn. 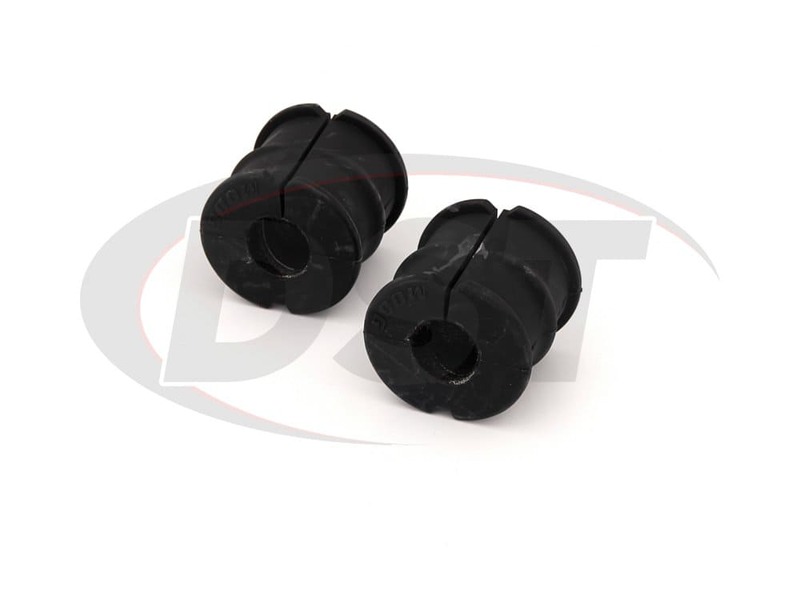 The original equipment (OE) bushings will eventually wear down and allow the bar to move, causing the body of your Dodge or Chrysler to roll. This body roll can reduce the contact patch of your inside wheel during a turn and reduce the amount of traction you can expect from your car. Another side effect of worn or aging OE bushings is the annoying squeaking noise you can hear when going over a bump or turning. 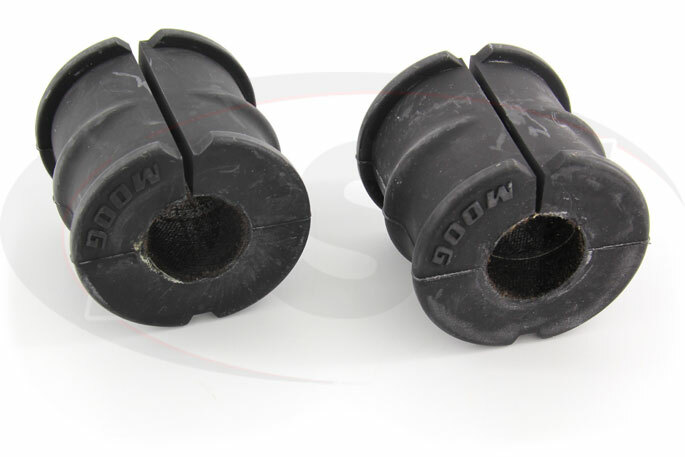 If you don't want your Charger squeaking at every turn while you're looking for parking in Downtown Fort Worth then these new sway bar bushings might be your answer. 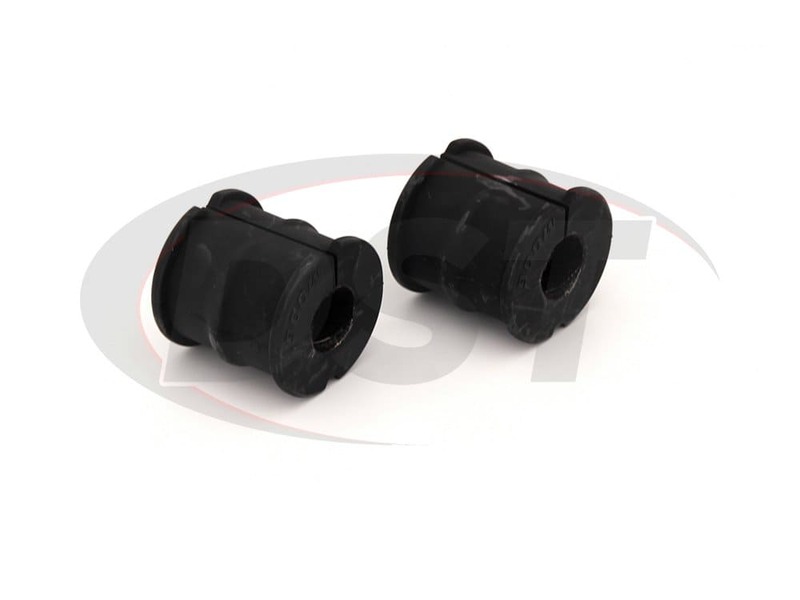 As your OE bushings age they can begin to squeak but the synthetic fabric lining the inside of these sway bar bushings will reduce the chance for squeaking, keeping your ride quiet. Also, the longer your sway bar bushings last the longer you can enjoy sharp turning without having to replace your bushings. 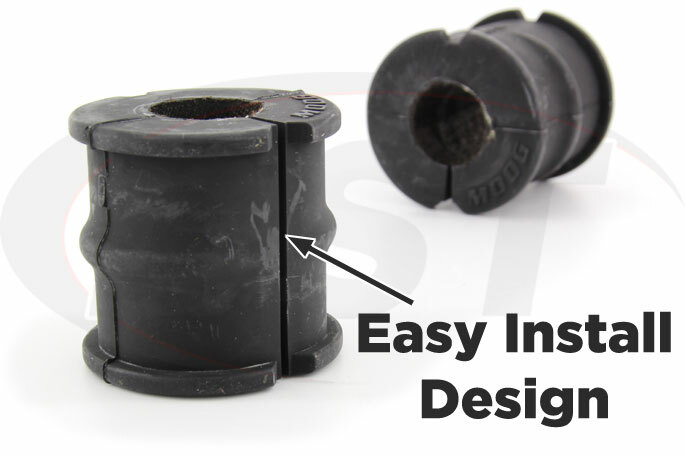 These synthetic fabric lined sway bar bushings can be easily installed from the comfort of your garage or driveway, making them one of the simplest DIY suspension upgrades you can put on your car. 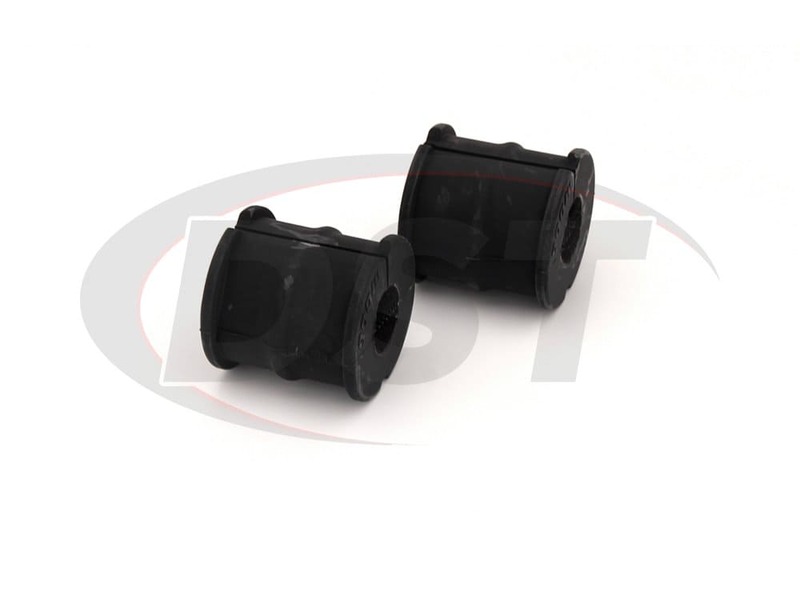 The split design allows the bushing to slip over the sway bar without the hassle of detaching the bar like many OE replacements would require. 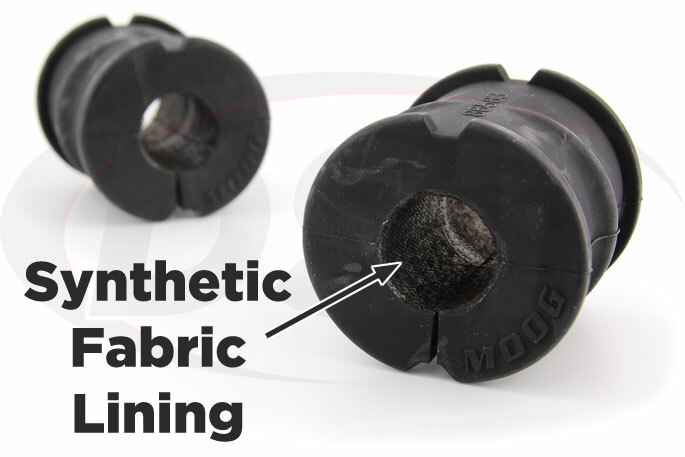 The synthetic fabric lining that separates the rubber of these bushings from the bar means a longer effective lifespan and longer body roll reduction. 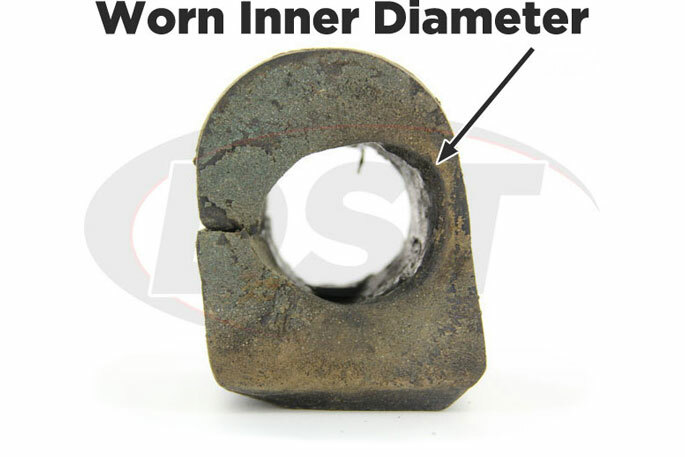 Sunday drives on empty roads like those around Erath County will eventually take their toll on your OE bushings, so if you enjoy spirited driving in your Chrysler 300 then your OE sway bar bushings will need to be replaced at some point. Why not choose replacement bushings that not only perform better and quieter but also last 3 times longer than OE bushings?